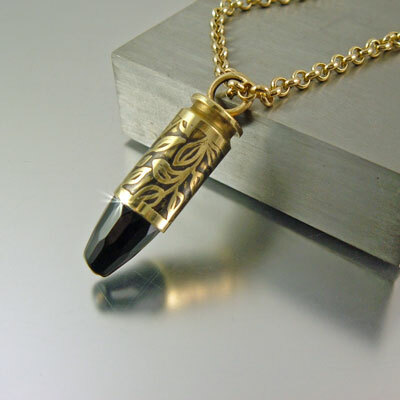 Spirit of the Night is a recycled .40 caliber S & W casing made into a beautiful, stylish bullet necklace. 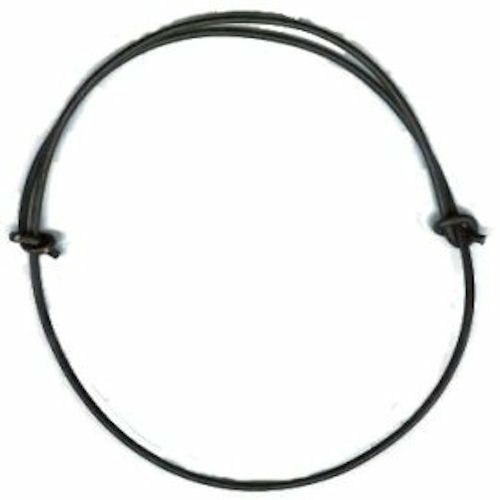 It's design is suitable for either a man or woman. 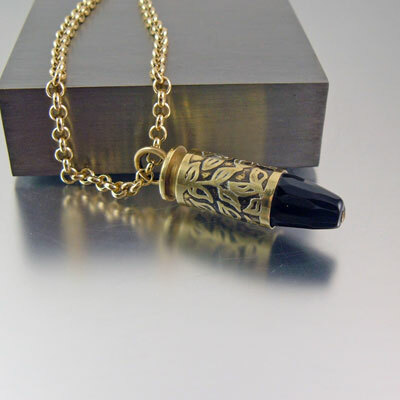 The tip is a facet cut black onyx gemstone. It's dramatic yet nothing too over the top. 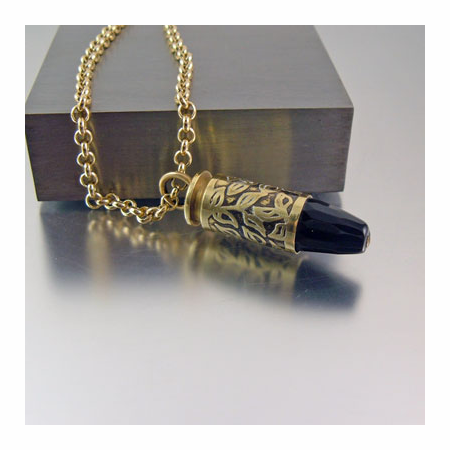 For a casual look a black adjustable leather cord would suit this bullet pendant perfectly.